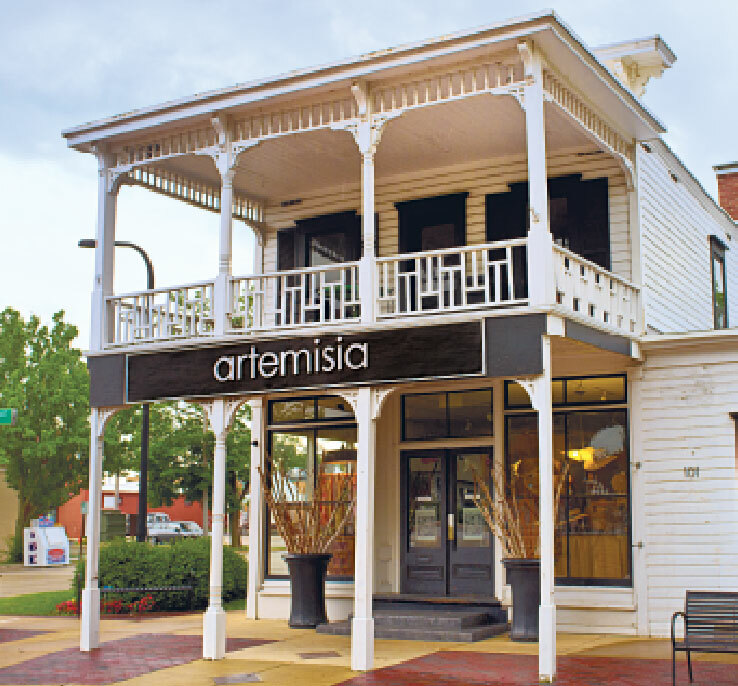 Customers stepping through the doors of Artemisia in Geneva, Illinois, will find a carefully collected assortment of goods to adorn themselves and their homes, most of which they won’t find anywhere else. 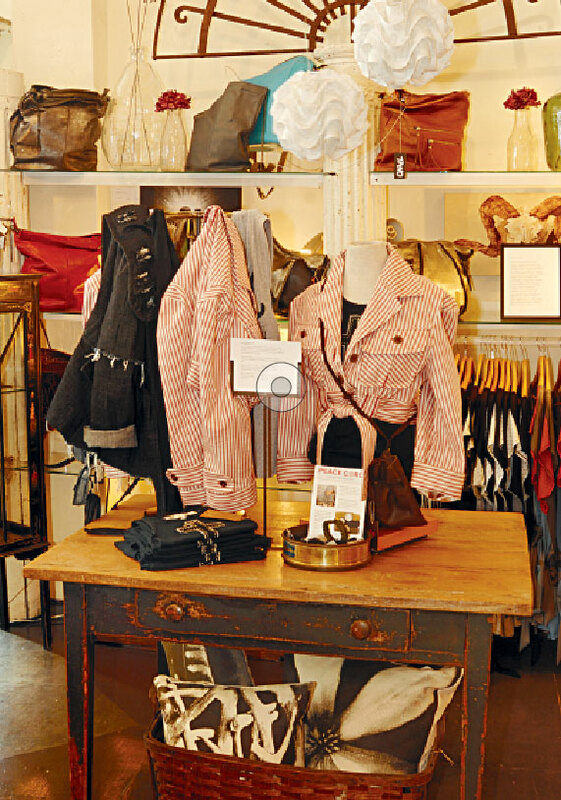 The shop, located in an 1867 building in the heart of the bustling downtown shopping district, takes its name from 17th-century Italian Baroque painter Artemisia Gentileschi. Just like its namesake, a female artist at a time when there were few others, Artemisia the shop aims to be unconventional. 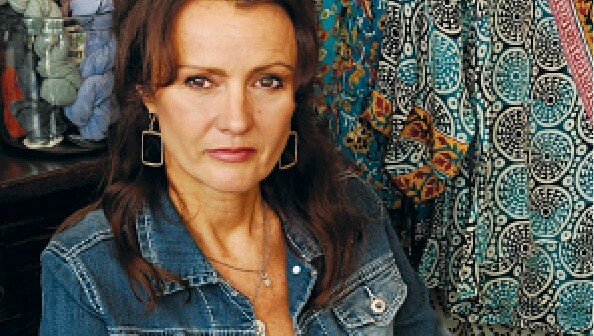 Owner Debra Koertge is always on the lookout for artists, designers and craftspeople from across the country and around the world who produce everything from jewelry and clothing to furniture and home accents. “What makes my store really unique is the mix of artisan goods, antiques and free-trade/fair market, responsibly manufactured items,” Koertge says. 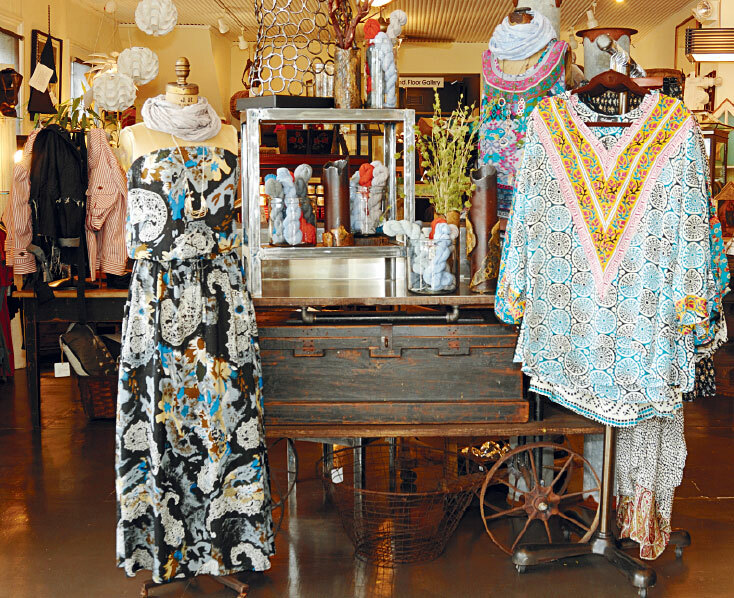 Looking around the store, customers see a mix of old and new—a primitive step-back cupboard stocked with luxury candles, a carpenter’s workbench set with Portuguese stoneware, or a vintage dress form draped in clothing made from recycled fabrics. Architectural salvage pieces, such as ironwork, shutters, columns and street signs, rub elbows with hand-forged light fixtures and handwoven throws. Every product has a story to tell, and Koertge and her well-versed employees are ready to share those stories with customers, through inventive displays, signage, special events and casual conversation. 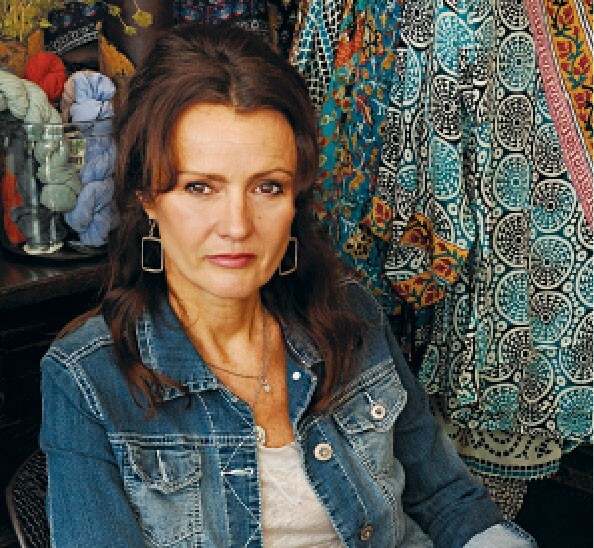 Koertge’s interest in the artistic and handmade might be traced to her beginnings in the business. She did not set out to be a storeowner. She has a degree in healthcare and worked in that field for many years. In her spare time, however, she created herbal oils and vinegars using the bounty of her backyard herb garden. She packaged them in antique bottles and gave them as gifts to friends and neighbors at the holidays. One neighbor told her that she ought to sell them, so Koertge leased a booth at an antique mall and later sold them through a friend’s shop. Eventually, she opened her own place. Artemisia has now been in its Geneva location for five years; prior to that, the store was in a shopping district in a neighboring town for four years. The previous location did not generate a lot of foot traffic, and Koertge now looks back on that time as “playing store.” The business has grown tremendously since moving to Geneva, and Koertge opened another store in downtown Chicago—Artemisia on Grand—in 2011. The light-filled second floor of the 3,000-square-foot Geneva store makes for the perfect gallery space. “It reminded me of Santa Fe,” Koertge says, noting that it was one of the features that sold her on the space. That, and its address on Third Street within Geneva’s downtown shopping district, which is just down the street from the commuter train station. The easy access to transportation allows visitors from Chicago to travel out to the suburb for a stress-free afternoon and evening of shopping and dining. Because of the one-of-a-kind nature or limited quantities of the products she offers, it’s not feasible to sell merchandise through the website. “By the time we get it on there, it’s gone,” she observes. But, posting new arrivals on Facebook or the blog gets people to come in and check things out. The shop also uses social media to advertise special events, including artist visits at the downtown Chicago store and promotions held in conjunction with other Geneva merchants, like the springtime plant-themed Gardenology event. “We love cross-promotion and working with our neighbors,” Koertge says. Some of those neighbors are closer than others—Koertge leases space to Odalisque Beauty Apothecary, which sells skincare, makeup and fragrance, and the two shops team up for events like a holiday open house. She is not afraid to try new things. Clothing is a recent addition, and she will soon add a shoe line, something she calls a “big step” for the shop. The shoes, manufactured in Chicago, feature wood platforms and have interchangeable ribbons and laces that allow the customer to alter their look. The shoes are currently being sold only in Canada and Europe. Koertge does, however, enjoy the One of a Kind Show held in Chicago every December because it brings together hundreds of artists and crafters. She says that sometimes artists hesitate when asked to sell wholesale. “You need to educate the artists. Let them know they will have exposure and a steady check. Sometimes, you need to give them a safety net in the form of a large opening order,” she says, noting that such an investment can pay off because the artist will be more likely to allow you to be an exclusive seller in your geographic area. Art, from paintings and photographs to sculpture and glass, is one of Artemisia’s top sellers; Koertge says it accounted for 30 percent of sales last year. Inviting displays are partly responsible for that number. 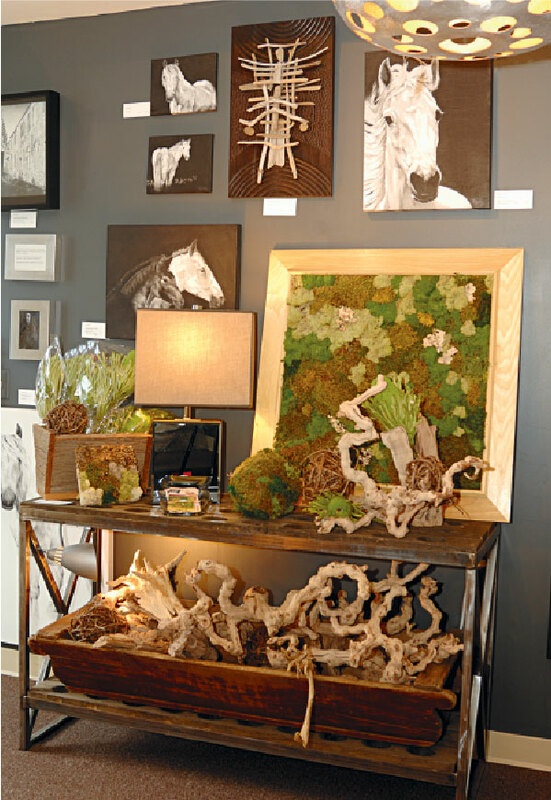 “I like to place art with furniture and lighting so customers can envision it within their own space at home,” she says, noting that some customers end up buying the entire vignette. Most of the displays are created by Koertge’s “right hand,” Kim Zachary, who worked in the corporate retail world for many years before retiring and joining the Artemisia team. She’s responsible for the inventive juxtapositions, such as delicate jewelry atop rugged stones and organic cotton animals peering from a primitive cupboard. What is your most unusual display piece or prop? Knowing what you know now, what would you have done differently in your business? What new technology do you use in your business that you are most thrilled with? Have you ever had a celebrity in your store?